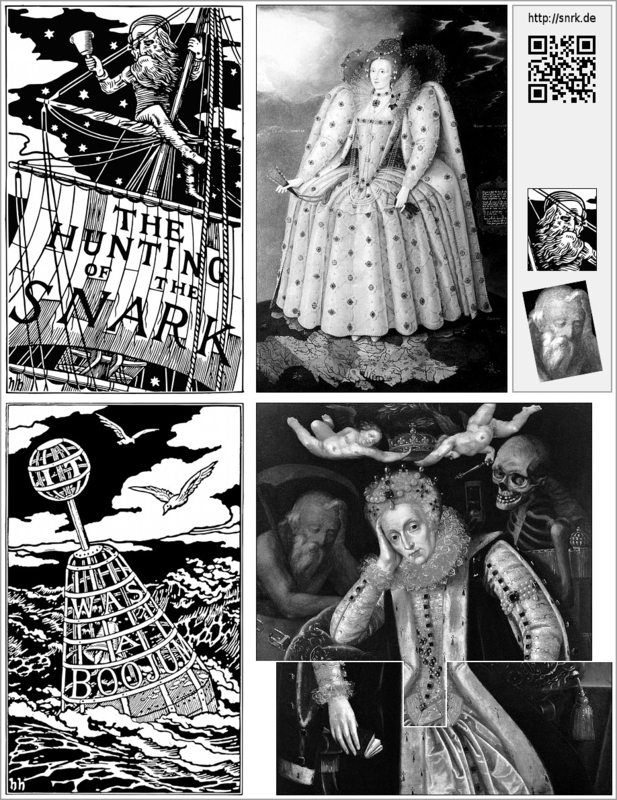 This blog is mostly about Lewis Carroll‘s, Henry Holiday‘s and Joseph Swain‘s illustrations to The Hunting of the Snark. 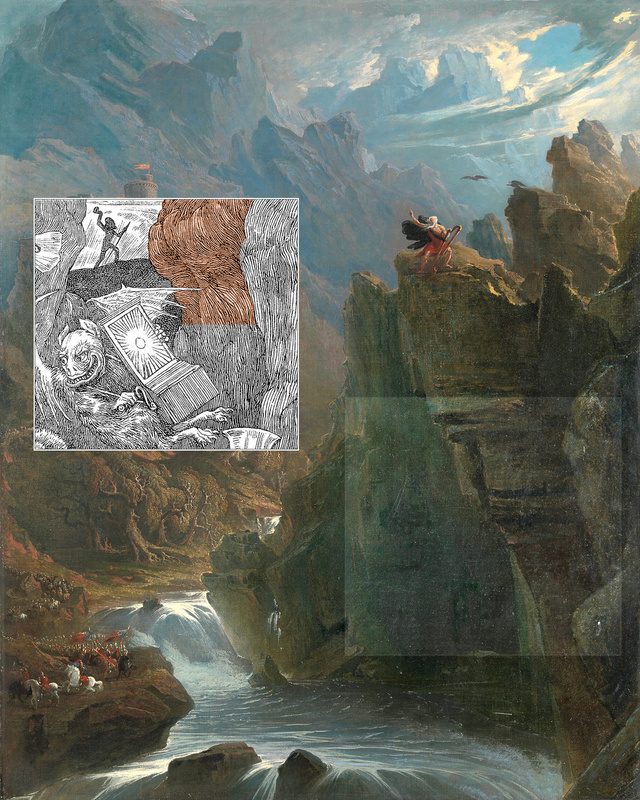 In his Illuminated Snark, John Tufail assumed that the night sky in the front cover of The Hunting of the Snark could be a map. Together with my assumption that Henry Holiday drew inspiration from several paintings by Marcus Gheeraerts the Younger, John’s paper helped me to find the Ditchley Portrait. That again helped me to find the painting by an anonymous artist depicting Elizabeth I at old age.